The Evening Grosbeak is a beautiful large species of finch. Males have large pale beaks and gorgeous plumage of black, white, dark olive, and yellow. You can totally customize this gift! 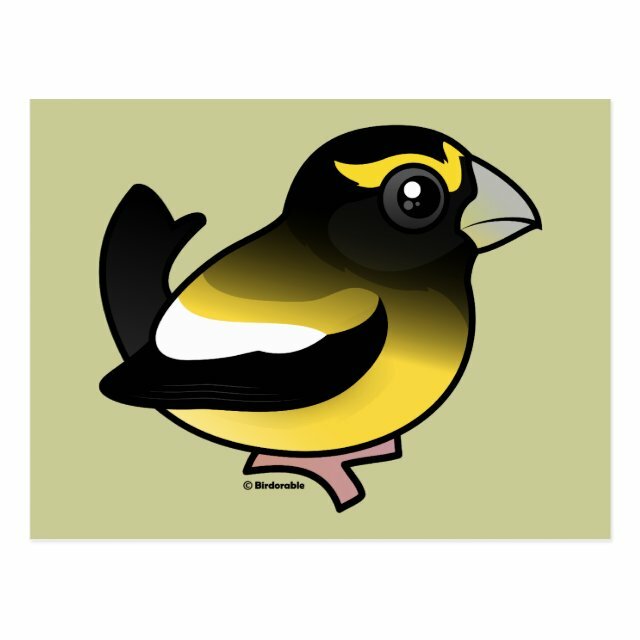 Move the male grosbeak around, change the background color or style, add your own text or images -- make it your own!